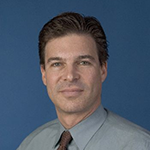 Terence Sanger MD PhD, Associate Professor of Biomedical Engineering, Biokinesiology, and Child Neurology at USC. Dr. Sanger is an Electrical Engineer, Computational Neuroscientist, and Child Neurologist specializing in research and treatment of movement disorders in children. His NIH-funded research includes work on understanding motor learning in children, the use of kinematic measurements to design assistive communication interfaces, and multiscale modeling of large-scale neural systems for control, with particular application to understanding the development of spasticity and dystonia. Techniques in his laboratory include repetitive transcranial magnetic stimulation (rTMS), transcranial direct-current stimulation (TDCS), mathematical modeling, and the use of field-programmable gate arrays (FPGA) to perform high-speed simulations of neural development. He is the director of the Child Movement Disorders Clinic at Children's Hospital of Los Angeles. His laboratory at USC has made important recent discoveries on the role of long-latency stretch reflexes in the genesis of childhood secondary dystonia. Dr. Sanger received the PhD degree in Electrical Engineering and Computer Science from MIT, the MD from Harvard Medical School, and an SM in Applied Mathematics from Harvard University. He studied Pediatrics at Los Angeles County Medical Center, Child Neurology at Boston Children’s Hospital, and Movement Disorders at Toronto Western Hospital and the Hospital for Sick Children. Dr. Sanger coordinates the Childhood Motor Study Group (CMSG) and the NIH Taskforce on Childhood Movement Disorders, and he is principal investigator on several research studies at USC. He runs the pediatric movement disorders clinic at Children’s Hospital of Los Angeles (CHLA) in the department of Neurology. His training includes background in Child Neurology, Electrical Engineering, Signal Processing, Control Theory, Neural Networks, and Computational Neuroscience.